You can change the number of segments that divide the spline. For example, a single segment points move in a straight line. A greater number of points needed to adjust to the original mesh as this increases the complexity. Spline FFD can also be used in closed contours, making it a useful tool for generating seams and joints. In these cases we recommend a minimum of 6 segments to achieve a proper fit. Finally, remember that you can change the type of vertex at any time, from smooth to beizer or corner vertex, and use the handles to change the shape of the spline. 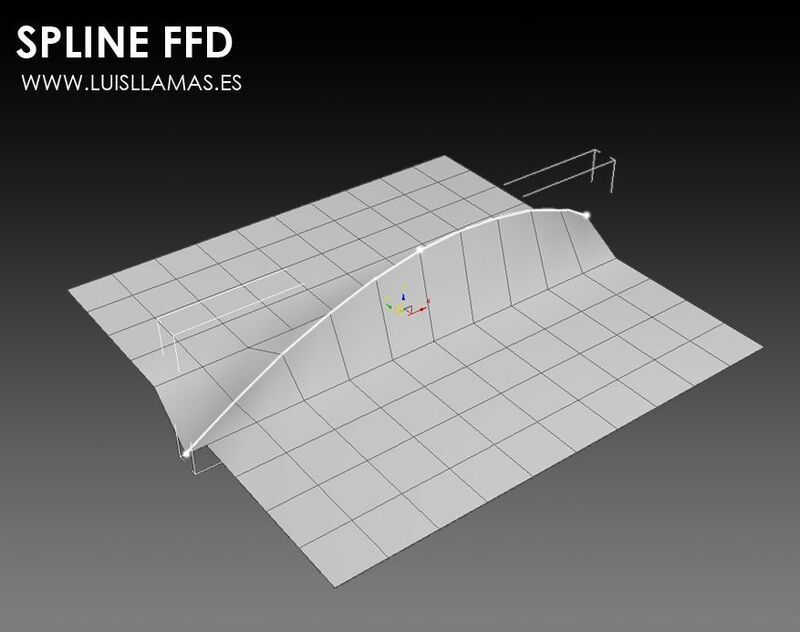 Spline FFD 1.0: Initial release. Download file Spline FFD 1.1.